So, clearly I am still alive. As you may have guessed from my last update, things were…a little crazy. Between the unexpected loss of our beloved dog and moving out of state the very next day, I wasn’t in much shape to work on my minis – or much of anything else – all summer. That isn’t to say the rest of my year was entirely mini-free. 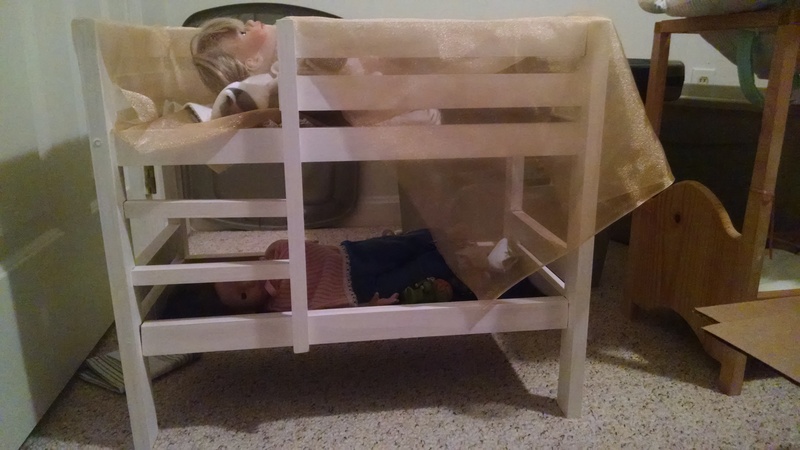 In August, with the help of a friend far more familiar with power tools than I, I completed a set of American Girl-sized bunk beds for a sleepover with my nieces. This was done using the awesome instructions from Ana White, which were super easy to follow. My only complaint is that the cuts she lists add up to a greater length than the boards on the shopping list. I purchased extra and still ended up with only a couple of feet of scraps. I will also add that I specifically added length to the bed, because the length she gives leaves a bed barely long enough for the doll. Yup, I’m picky like that. 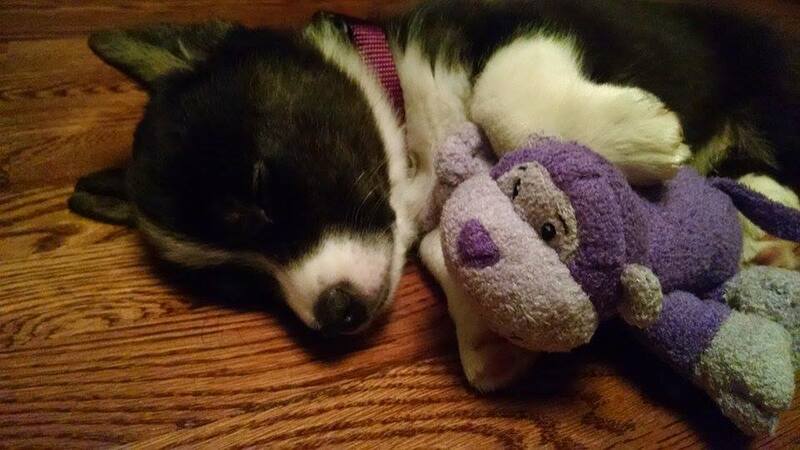 As I’m sure you can imagine, a new puppy takes an awful lot of time and energy. She has been so, so worth it, though! 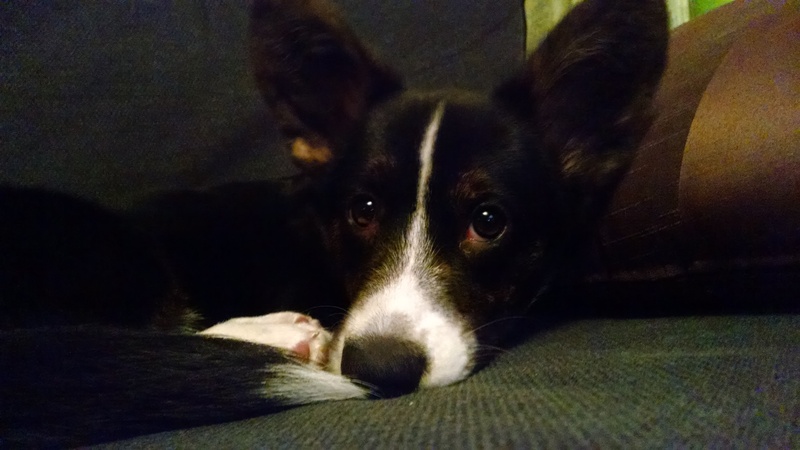 After only a few weeks without our dog, our home felt so empty I couldn’t stand it. Rhys will always irreplaceable, but his “little sister” is amazing in her own right. Infuriating at times (Corgis generally are) but wonderful. Which brings us to now. After a few trials & errors getting our basement set up, including a dishwasher replacement that ended with a near-flood straight into the middle of the finished half (no property damage, thankfully!) 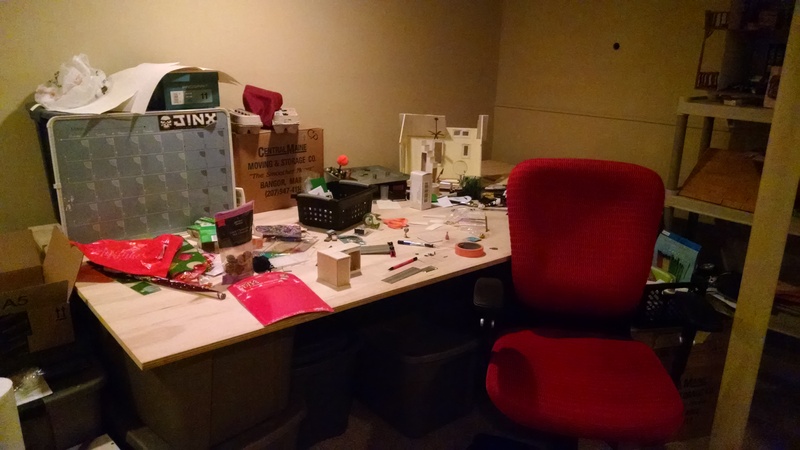 we finally organized the basement well enough to set up my craft area. With all that had happened this year, I didn’t want much for Christmas, but when my husband asked me to tell him what I REALLY wanted, all I could think of was my craft table. A smooth 4’x8′ plywood board is my new crafting surface! Nice and large and ready for plenty of minis. It will take some time to get everything set up again, but in the meantime I’m pretty excited. A couple of other updates of note: My master’s thesis is progressing really well, finally, and I’ve successfully defended my proposal and have moved on to data analysis. I also joined a new Minecraft server mid-summer, and recently became an administrator of said server, which is an amazing privilege and a lot of fun. All of this said and done, I’m really looking forward to getting back to miniatures, and boy do I have a lot of plans. Tomorrow I’ll outline my next project, which is something I will definitely need to finish….